Nintendo posted lackluster earnings on Wednesday that saw its string of quarterly losses continue, as the flop of the Wii U video game console continues to drag down on the company's bottom line. In fact, Nintendo's two biggest profit drivers this past quarter were from its sale of its stake of the Seattle Mariners baseball team and from its small-ish cut of the revenue brought in by "Pokémon Go," which is co-developed by its partially-owned subsidiary "The Pokémon Company." But there's hope on the horizon: In March 2017, Nintendo will introduce the Switch, its funky console/handheld hybrid gaming console. It is Nintendo's huge bet to bring the legendary company back to prominence. And to emphasize how big a bet this is, Nintendo CEO Tatsumi Kimishima said on the company's earning call that the company's financial guidance to investors includes the assumption that Nintendo will ship 2 million Switch consoles by the time its fiscal year closes at the end of March 2017, The Wall Street Journal reporter Takashi Mochizuki shared on Twitter. In other words, Nintendo is banking that it'll sell 2 million Switch consoles worldwide, in the scant few weeks between whatever day in March it launches and the time the fiscal year closes on March 31. That's a very ambitious, but not totally unrealistic, assumption. The Wii, the most successful console Nintendo ever made and the second-best-selling console of all time behind the Sony PlayStation 2, sold more than 3 million units within a month after it launched worldwide in 2006. It actually led to supply shortages, as the Wii became hard to find on store shelves and eBay exploded with marked-up consoles. And judging from the largely positive reaction Nintendo fans had to the initial reveal of the Switch, it's certainly possible the new console will generate Wii-like levels of hype, leading to similarly strong sales out of the gate. Furthermore, Nintendo reiterated its previously-announced intention not to sell the Switch hardware at a loss, which is contrary to its historical pricing strategy of selling the console below costs and making it up on higher-margin game sales. 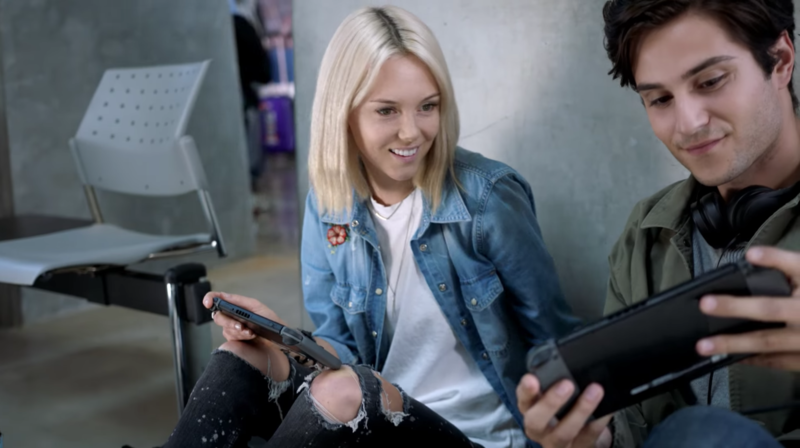 Analysts are skeptical of Nintendo's ability to really make a dent in the market with the Switch, as evidenced by the fact that its stock took a 6% tumble when the console was launched. But Nintendo's stronger earnings, regardless of the cause, seem to have forestalled the harshest of naysayers for the time being: Nintendo's stock on the Tokyo exchanges was down only slightly at the time of writing, while its over-the-counter stock in the United States is up over 1.5%.